(HealthDay)—A pill that contains three powerful antiviral drugs might offer a cure for many hepatitis C patients who have failed other treatments, researchers report. The pill—which contains the antiviral drugs sofosbuvir (Sovaldi), velpatasvir and voxilaprevir—was nearly 100 percent effective in curing hepatitis C in patients whose disease returned after treatment with other antiviral drugs, the researchers said. "Currently, we have very good treatments for hepatitis C, and we are able to achieve a cure in over 90 percent of patients. So globally, although only a few patients relapse, it still is a significant number," said lead researcher Dr. Marc Bourliere, from the Hospital Saint Joseph in Marseilles, France. This new pill is being developed as a rescue treatment for patients who have failed other therapy, he said. When it was used as an initial treatment in another study, the combination pill fared no better than the usual treatment, he added. The data from these and other trials, funded by Gilead Sciences, the maker of the combination pill, is in the hands of the U.S. Food and Drug Administration, where it is undergoing the approval process, Bourliere said. The bottom line, according to Bourliere, is: "We have other options even if you fail the first treatments." The new combination pill is likely to be expensive. In 2014, Gilead introduced a combination drug for hepatitis C called Harvoni, which was priced at more than $1,000 a dose with a 12-week course of treatment running $94,500, the Associated Press reported. Hepatitis is an inflammation of the liver that can be caused by several viruses, including hepatitis C. Hepatitis C is usually spread when blood from an infected person enters the body of someone not infected. Most people become infected with hepatitis C by sharing needles or other equipment to inject drugs, the U.S. Centers for Disease Control and Prevention says. Approximately 75 percent to 85 percent of people who have hepatitis C will develop chronic infection. In the United States, as many as 4 million people have chronic hepatitis C, according to the CDC. Many people infected with hepatitis C don't know they have it because they don't look or feel sick. Chronic hepatitis C is serious and can result in long-term health problems, including liver damage, liver failure, liver cancer or death. Hepatitis C is the leading cause of cirrhosis and liver cancer, and the most common reason for liver transplantation in the United States. In two, phase 3 trials, Bourliere and his colleagues treated patients with the combination pill or a placebo or other antiviral drugs. 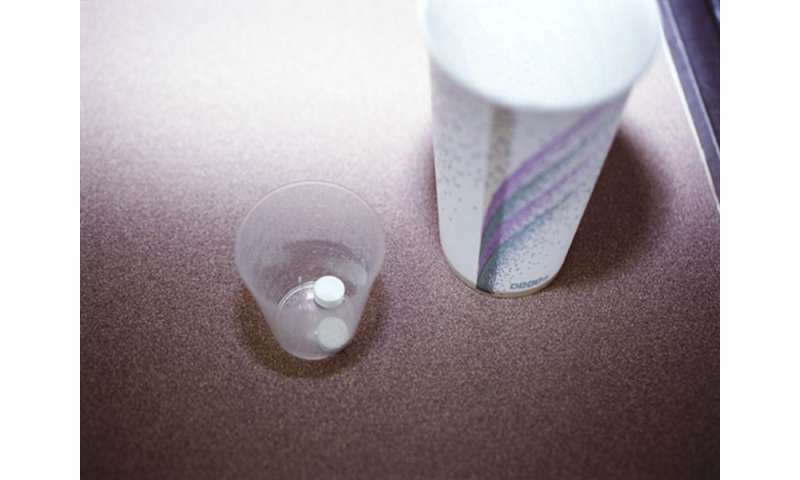 In the first trial, 300 patients were randomly assigned to the combination pill or a placebo. These patients all had hepatitis C genotype 1. In addition, 114 patients with other genotypes of hepatitis C were given the combination pill. Patients took the pill daily for 12 weeks. Among patients taking the combination pill, 96 percent responded to treatment. None on the placebo showed a response, the researchers found. The second trial included 314 patients with hepatitis C genotypes 1, 2 or 3. All had failed other treatments, but hadn't been given a NS5A inhibitor, such as velpatasvir or daclatasvir. This group received either the combination pill (163 patients) or sofosbuvir-velpatasvir (151 patients). In addition, 19 patients with genotype 4 hepatitis C were given the combination pill. In this trial, 98 percent of the patients taking the combination pill responded to 12 weeks of treatment. And 90 percent of those who received sofosbuvir-velpatasvir responded to treatment, the findings showed. The most common side effects were headache, fatigue, diarrhea and nausea, Bourliere said. Only 1 percent or fewer patients stopped treatment because of the side effects, he said. Dr. David Bernstein is chief of hepatology at Northwell Health in Manhasset, N.Y. He called the new drug "a very important advance. This is really for salvage therapy. I don't think this is first-line therapy, but it gives hope to the people who fail the current therapies we have." For more on hepatitis C, visit the U.S. Centers for Disease Control and Prevention.